The McConnell Foundation is an independent foundation located in Redding, California. 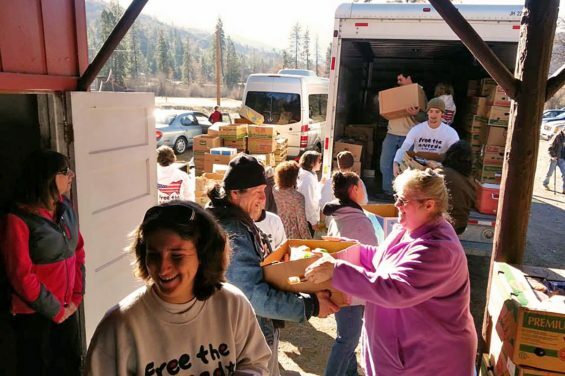 As a broad-based funder, we have awarded grants to 501(c)(3) nonprofit organizations, public education, and government entities located primarily in Modoc, Shasta, Siskiyou, Tehama, and Trinity Counties in rural Northern California, and the countries of Nepal and Laos. Learn about our Mission, Core Values, and our effort to improve sustainability. Meet the people that make it all happen. 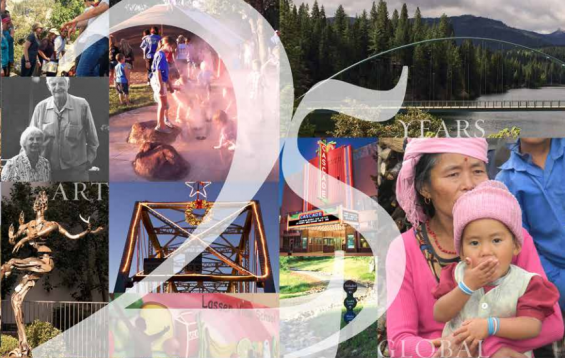 Get some insight into what we have done in the last 25 years. What does The McConnell Foundation do? We do lots of things, but mostly we make grants to nonprofit organizations, schools, and public agencies; we offer our meeting space to eligible groups; and we provide trails for the public to use. How/where does the Foundation get its money? 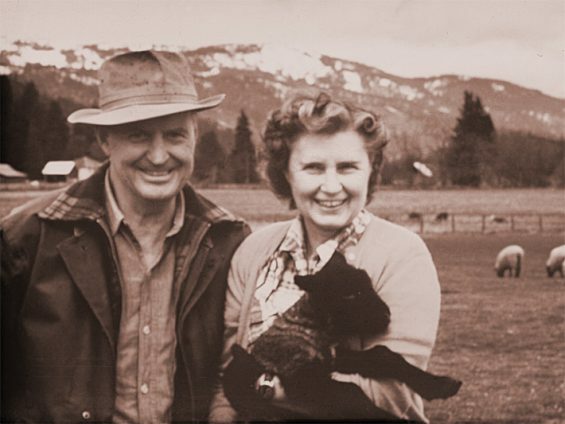 We are a private foundation that has an endowment created by Carl R. and Leah F. McConnell. 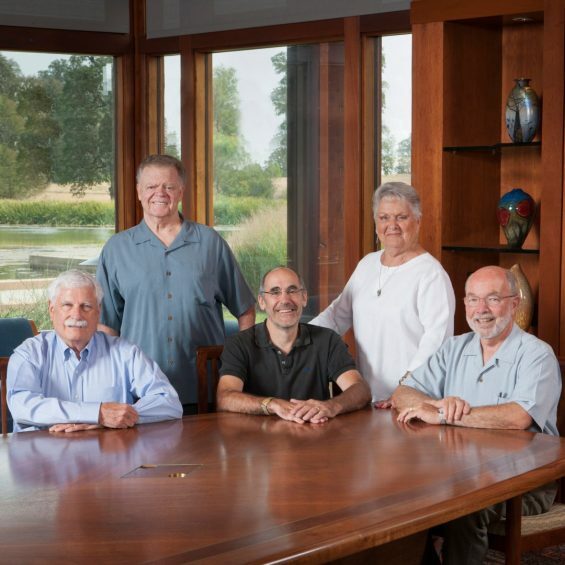 We do not receive tax dollars or public funds; the Foundation’s funds are professionally managed to grow the generous endowment created by the McConnells. Why does the Foundation sell water? One of the Foundation’s investments is a water right that was acquired by Mrs. McConnell as an investment asset. The Foundation has a fiduciary obligation to manage all of its investment assets, including its water rights, as a prudent investor. By maximizing its return on its investment assets, the Foundation can increase the funds that can be made available for grants to nonprofit organizations, schools, and governmental agencies. Does TMF have any job openings? How can I get a job at TMF? The Foundation values its employees and carefully considers candidates for open positions. When a position becomes available it is posted and advertised. How do I become a member of the Foundation? The McConnell Foundation is a private foundation maintained by staff; we are not a membership-driven organization. Are there any volunteering opportunities at TMF? The Foundation’s focus is to provide grants, meeting space, and trail use. Our dedicated staff sustains the charitable operations and maintains the trails. The Foundation does not have programs/projects in which volunteers can participate. Can TMF be reserved for weddings? The Foundation has dedicated its meeting space for eligible groups and groups that support the Foundation’s mission. We are not equipped or staffed to handle weddings and private social events. Are pictures allowed on Foundation property? With permission, photographs may be taken in certain areas. Requests can be submitted through our website. Is fishing allowed in your ponds? In an effort to protect the aquatic area and surrounding habitat, and for safety reasons, we do not allow fishing. Is the building open for tours? The Foundation’s focus is to provide meeting space for eligible groups. In order to keep the space continually available for those groups the Foundation does not provide public tours or allow the space to be used for public gatherings. We have been delighted by the public response to our persimmon trees. Our persimmon trees were planted for their fall beauty and are enjoyed all year around. Both Hychea and Fuyu varieties grow on Lema Ranch. Our landscape crew typically begins picking in October; individual picking is prohibited. The yield of persimmons changes from year to year, making it difficult to predict how many persimmons will be available to the public. The persimmons are offered first to nonprofit organizations that feed people, and then are offered in small quantities to the public for personal enjoyment. The persimmons are part of the McConnell Foundation and its legacy, they are not meant for resale. Can a person or business get grant money or a loan? Per IRS regulations only eligible organizations are considered for funding. Eligible organizations are: (1) nonprofit 501(c)(3) groups; (2) schools; and (3) government agencies. Do you help people with medical expenses, utility bills, rent, or other financial hardships? Per IRS regulations funds for personal use are not eligible for consideration. The Foundation has chosen to focus specifically on grants, meeting space, and trail use; it does not provide sponsorships for sports teams at this time. Why doesn’t the Foundation fund churches and sectarian religious purposes? Since its inception, in keeping with its founders’ personal beliefs, the Foundation has not funded grants for religious purposes. Our support is geared to nonprofit organizations and agencies who serve all people regardless of religious affiliation.